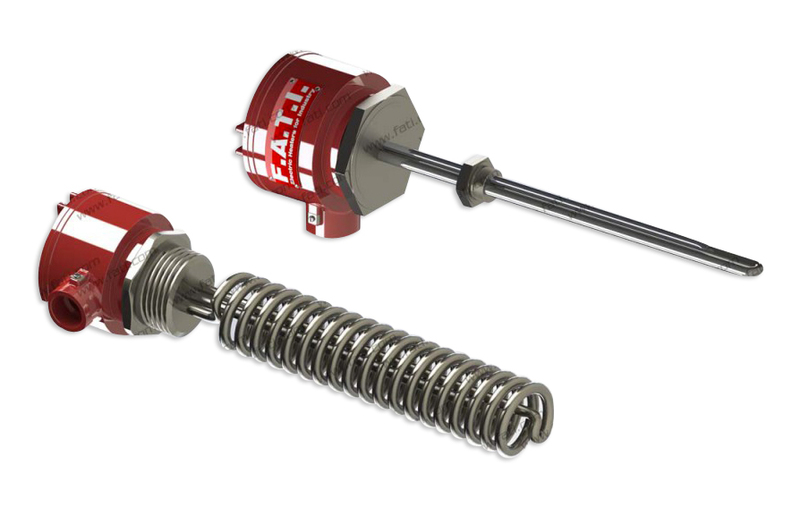 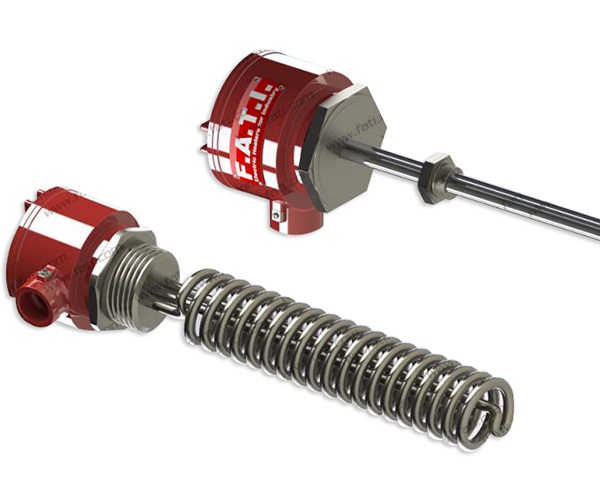 Flameproof threaded immersion heaters for Zones 1 & 2 Hazardous areas, gas groups IIA, IIB, & IIC, temperature class T1-T6. 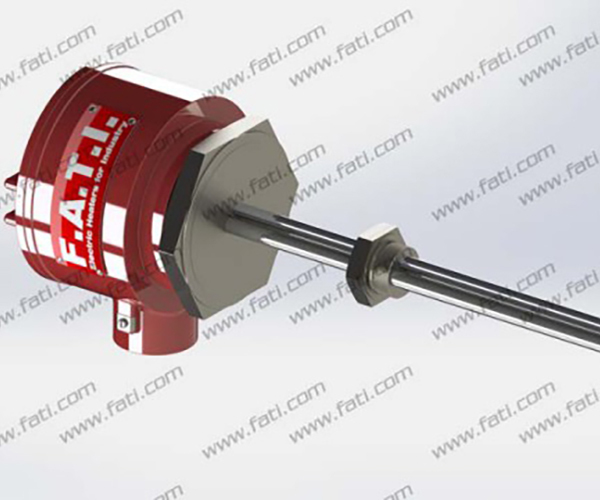 Certification ATEX II 2G Ex d IIC T1-T6 to EN 60079-0 / 60079-1, and IECEx Ex d IIC T1-T6 to IEC 60079-0 / 60079-1. 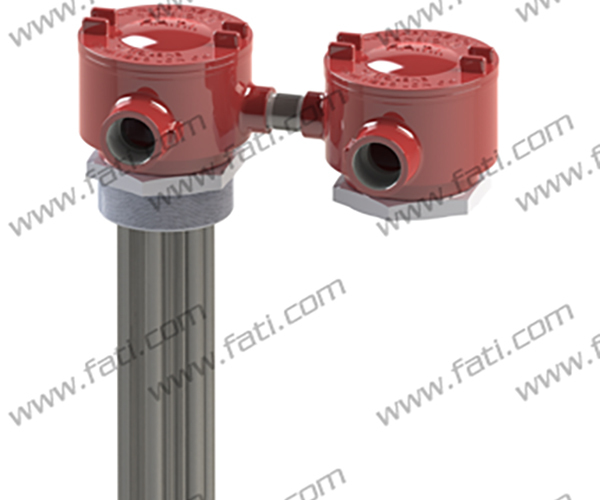 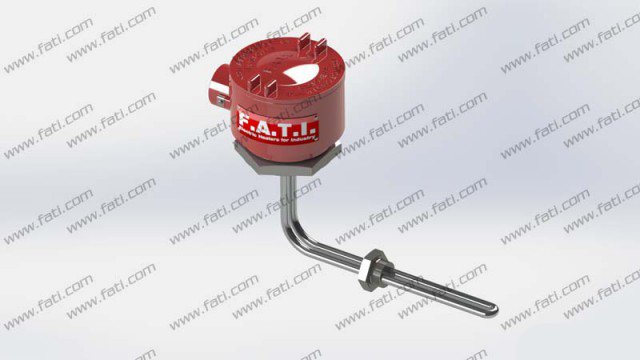 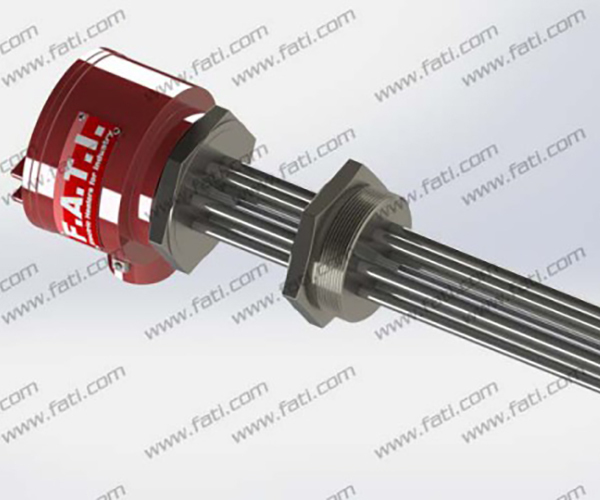 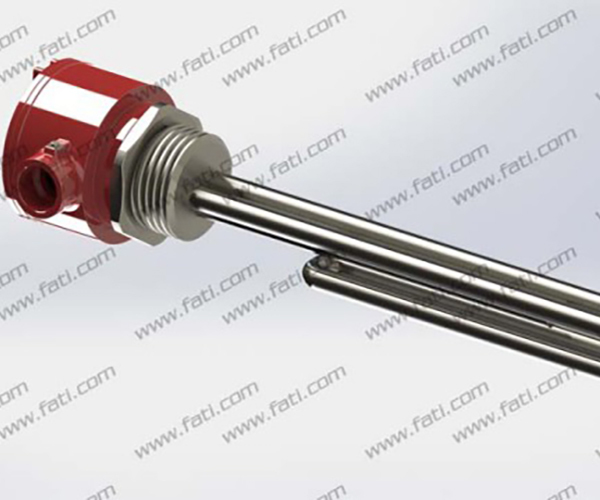 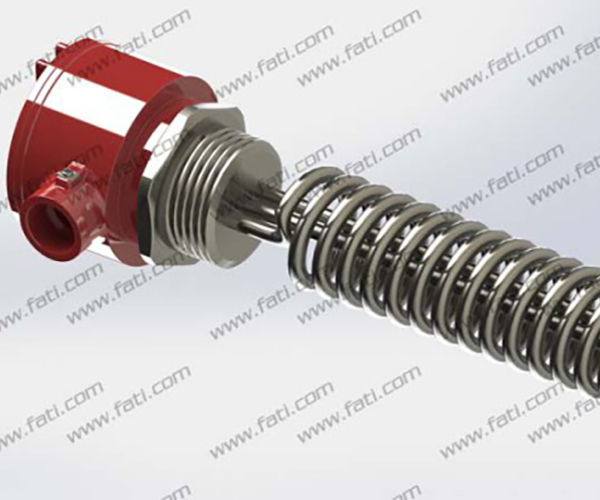 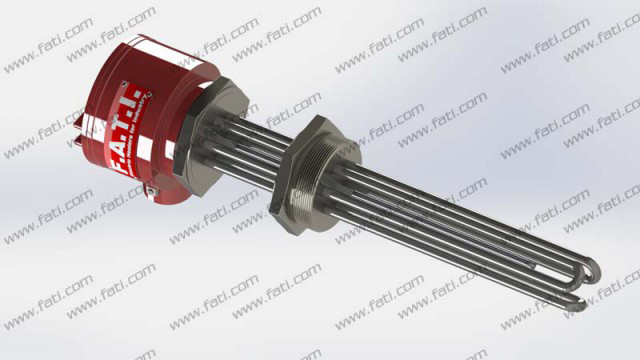 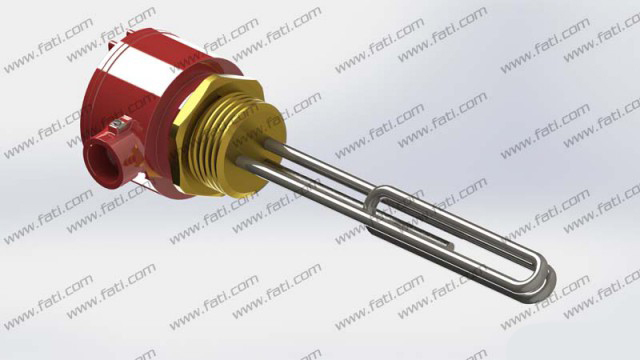 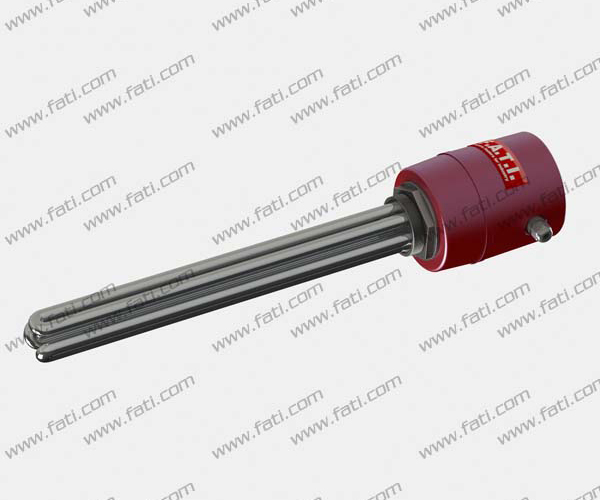 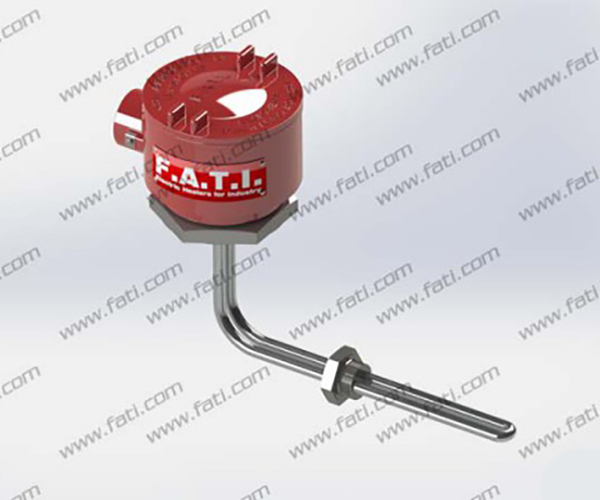 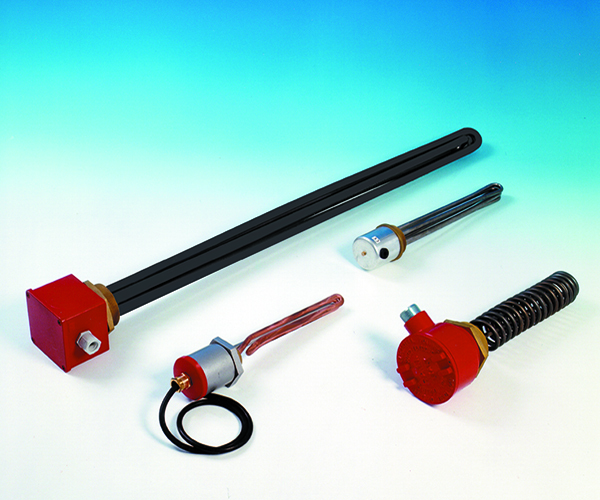 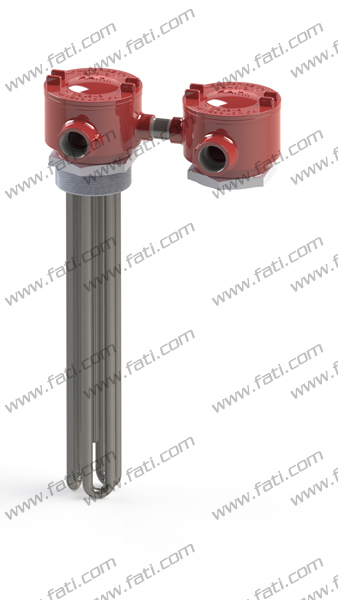 Threaded Immersion Heaters consist of tubular elements welded to a threaded hexagonal plug, which can be inserted into a threaded opening in a tank wall. 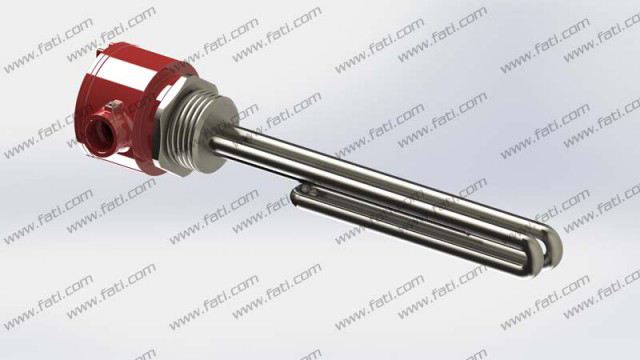 The electric heating elements are constructed with selected Ni Cr 80/20 wire, centred in a metal tube, and insulated with high quality magnesium oxide (MgO), compacted by cold-drawing. 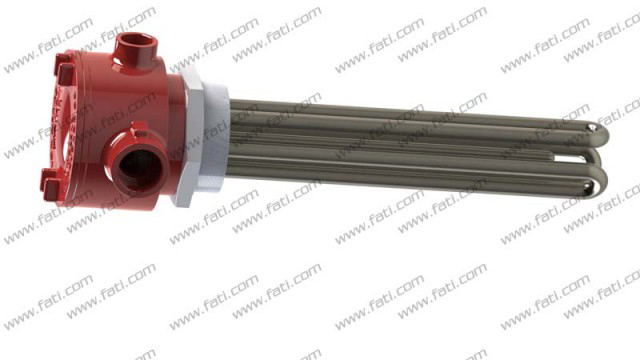 The element tube material generally used includes carbon steel, 304(L), 316(L) or 321 SST, Incoloy 800 or 825, Inconel 600 or 625, Titanium, Copper, Monel, and other available materials. 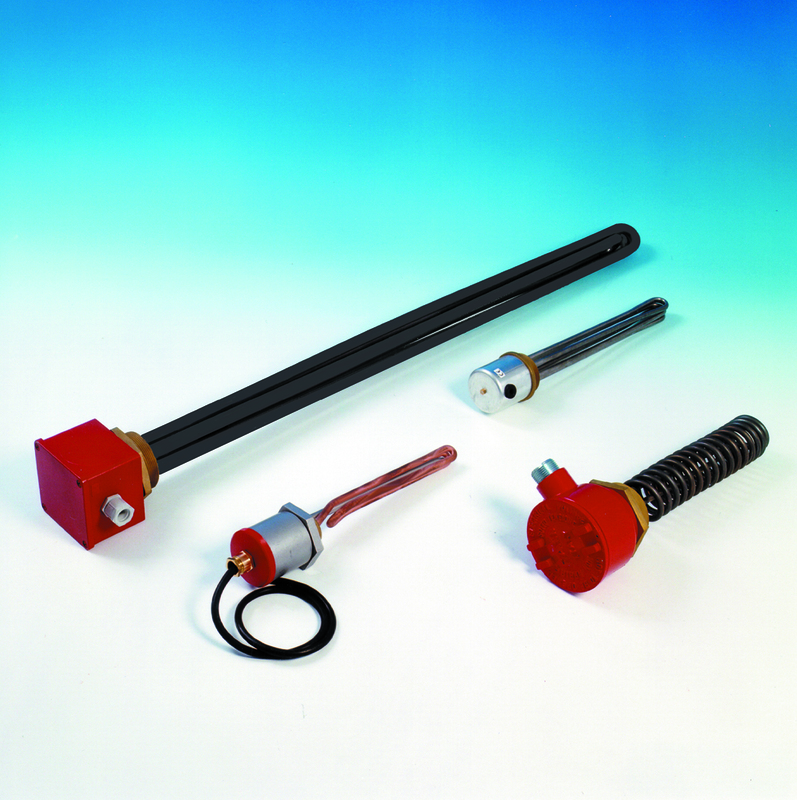 The threaded plug is available in a variety of materials, to suit the element sheath and the application. 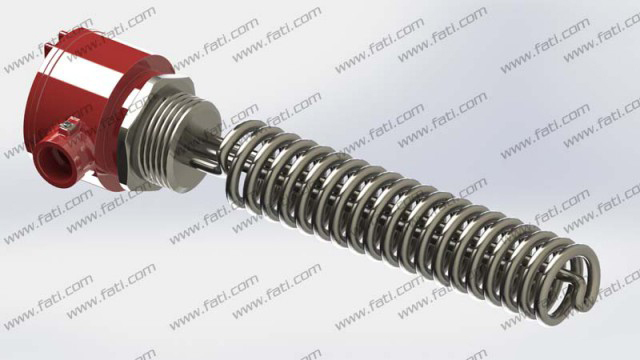 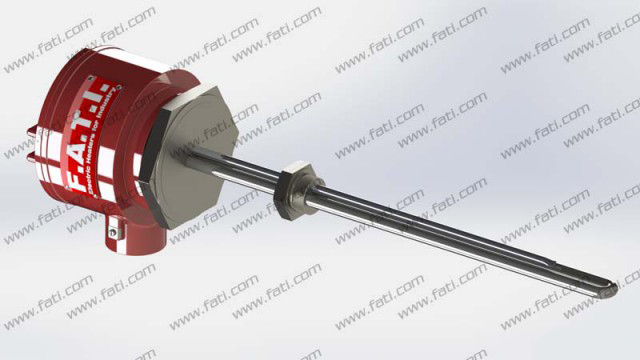 The threaded screw plug can have BSP, NPT, or ISO thread forms. 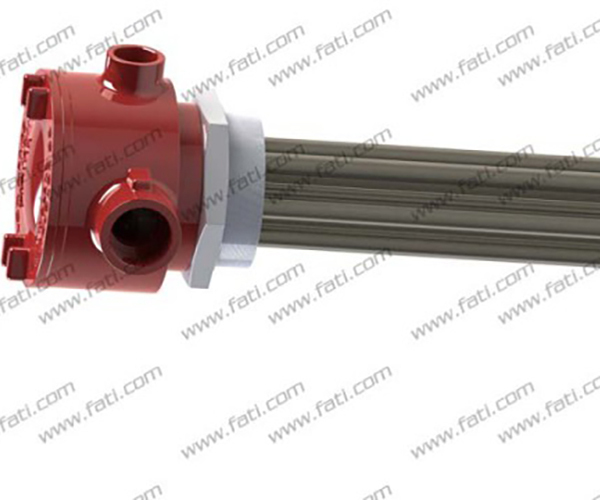 Special thread forms and materials are available on request. 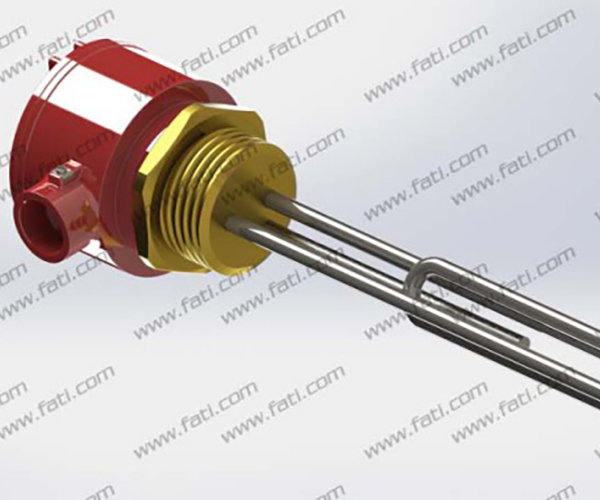 The heaters may be fitted with control thermostat and/or manual reset safety cut out.